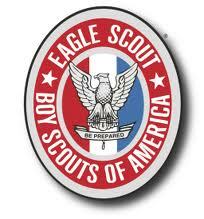 Earning the Boy Scouts of America rank of Eagle Scout is a significant accomplishment for a young man. If you or your son has received BSA’s highest honor we would enjoy the opportunity to provide to him an ‘Award of Achievement’ certificate recognizing this milestone in his life. Please forward a letter of request to Devan Seabaugh, Vice President of Administration at . Please include in your letter, the Scouts Name as you would like it to appear on the certificate, the Unit/Troop #, Board of Review Date, the address where to send the certificate, along with a brief summary about your Scouts Eagle Project and future plans. 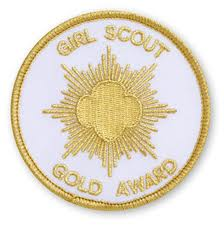 Earning the Girl Scout Gold Award is a significant accomplishment for a young woman. If you or your daughter has been awarded Girl Scout’s highest achievement we would enjoy the opportunity to provide her an ‘Award of Achievement’ certificate recognizing this milestone in her life. Please forward a letter of request to , Vice President of Administration at DevanSeabaugh. Please include in your letter, the Scouts Name as you would like it to appear on the certificate, the date the award was received, the address where to send the certificate, along with a brief summary about your Scouts final project and future plans.